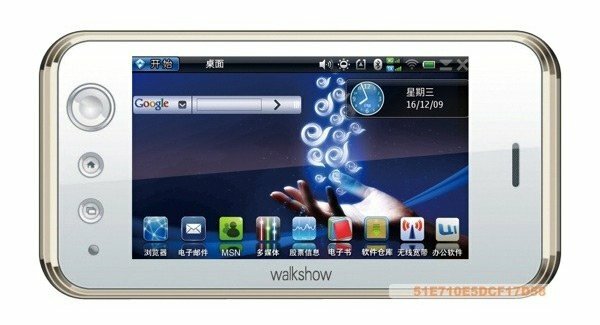 Aigo have just launched their latest Linux Maemo mobile Internet device (MID) the WalkShow NX7001. Which is equipped with a 16:9 4.3-inch touch screen display with a resolution of 800 × 480 and a Linux operating system also know as the ‘Nokia Maemo Linux’ which allows you to perform the same functions on the MID as on a desktop PC. The new WalkShow NX7001 is equipped with 3G and Wi-fi and is powered by a Marvell PXA310 806MHz processor with 128MB DDR and NAND flash, the memory can be extended via the integrated micro SD card slot.